The lower grade standards for the Common Core all deal with singular and plural nouns in one form or another. I loved this border and I just had to use it on a worksheet! Students are given a singular noun and have to write the plural noun. 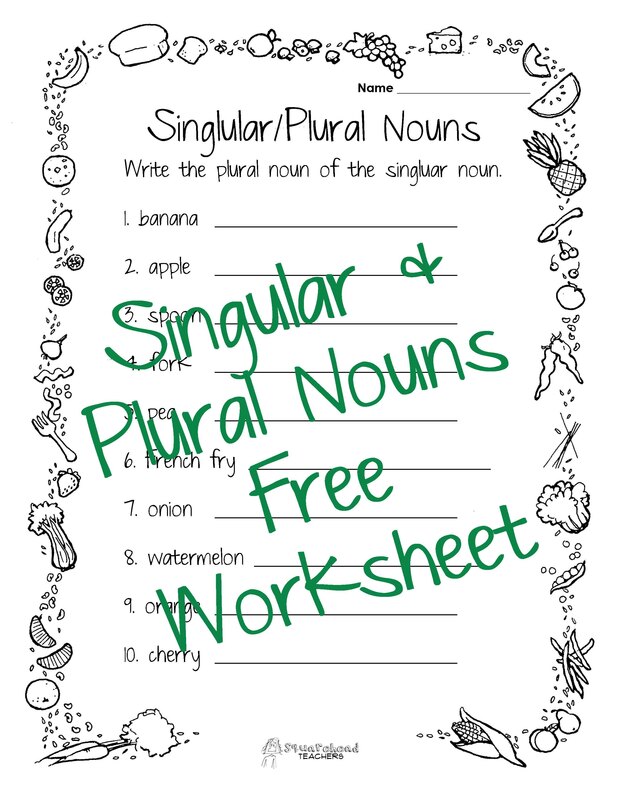 Here’s my free singular/plural nouns worksheet that centers around food! This entry was posted in Grammar, Language Arts and tagged Children, Education, Elementary School, Grammar, Homeschool, Kids, language arts, plural nouns, singular nouns, Teacher Resources, Teachers, Teaching by Squarehead Teachers. Bookmark the permalink. These are wonderful! Very helpful, thank you very much! !